contact your supplier for further information. Be sure to read the Safety Precautions before installing or operating this equipment. to the Authorized Distributor from whom it was purchased. which results from improper use, faulty maintenance, damage, improper repair or alteration by anyone other than the manufacturer or a service facility designated by the manufacturer. AND OTHERS. TAKE PRECAUTIONS WHEN WELDING OR CUTTING. BASED ON MANUFACTURER’S HAZARD DATA. - Install and ground welding equipment in accordance with obligatory standards. - Do not touch live electrical parts or electrodes with bare skin, wet gloves or wet clothes. - Insulate yourself from ground and workpiece. - Ensure your work position is safe. - Do not breath the fumes. - Use ventilation and/or extraction to keep fumes and gases away from your breathing zone and surroundings. - Protect your eyes and skin. Use correct helmet, lenses and wear protective clothes. - Protect bystanders with suitable screens or curtains. - Sparks (spatter) can cause fire. Make sure there are no inflammable materials nearby. NOISE - Excessive noise can damage your hearing. - Protect your ears. Use hearing protection. - Warn bystanders of the risk. MALFUNCTION - Call expert assistance in event of a malfunction. The PC650 is a compact Inverter Plasma unit designed to deliver up to 40 Amps of power at approximately 120 cutting volts. It has an adjustable output and a built in trigger “lock-in” circuit. This lightweight unit is supplied in versions that allow input voltages of 208/230/400/or 460 volts AC. ¾” with an output current range of 10 to 40A. the flow chart has a matching section on the main schematic and is applied to the description pages. troubleshooting purposes only, PC board repair is not recommended. 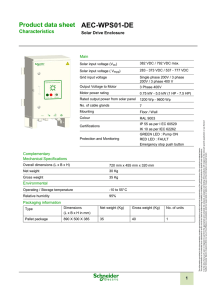 The Powercut 650 is available as 208/230 VAC single-phase power, or as 460 VAC 3 phase. 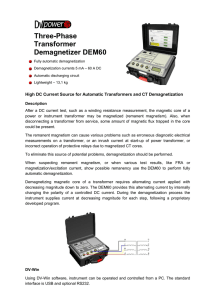 with a slight de-rating of the machine output, the PC650 can be used on single phase. The Powercut 650 “CE model” is available as 230 VAC single-phase power, or as 400 VAC 3 phase. of the machine output, the PC650 can be used on single phase. 1. Unplug the unit from the primary input power. from the main transformer. For 208 VAC input, X2 is connected to TB3 and X3 is connected to terminal 3 of D1. Make sure the connections are firmly tightened. 5. Leave all other wires the same. the 208 VAC input power. connecting receptacle to line disconnect switch. 208/230 V to a 460 V input power supply. Damage to the machine may occur. operate and it is connected across L1 and L3. IC2 on PCB-1. The other signal leaves IC9-5 destined for the current control logic chip IC10 –1 via D22. The start LED, LED1, lights up indicating start voltage is present. See Section 5.8.2. The gas flow solenoid is engaged and air moves through the torch. Spark Gap unit, SG, engages. The HF signal ionizes the air and sets an environment conducive to main arc creation. Current: effectively the "amount of flow" of electricity. Electromotive force: effectively the "pressure" of electron movement. Opposition to electron transfer: expressed in OHMS. Amount of electrical storage in a capacitor. + Positive element of device. - Negative element of device - the banded end of a diode. Device which opens and closes a circuit. number of turns and density. Indicates that any number may be used in its place. 0.00000n One Millionth of any unit. plates separated by an insulator. Typical values are in µF. rating. Power dissapation is expressed in Watts (Ω). Adding a core to a coil increases the inductance produced. configuration. 1:1 transformers are used for isolation. Variously configured male/female separable connectors. A device which converts electrical energy to mechanical energy (motion). A resistor whose resistance changes with temperature. A small base current controls the larger collector current. Dedicated location for obtaining quantification. Protective device that protects circuits from over temperature. Electro-mechanical device for opening / closing a circuit. Schematic representation of physical connection of wires. Produces light by heating a filament. true when all its inputs are true. true when at least one of its inputs is true. true unless all its inputs are true. when none of its inputs are true. A NOT gate can only have one input. The 'o' on the output means 'not'. connected across S3 is a .047µF, 300V capacitor (C20) for filtering of the input power. open resistance. Replace the component if it reads low or short. the negative side of the bridge, and is directly coupled to the IGBTs on the positive side. bridge rectifier and second as a bus filter device, assisting in DC ripple reduction. SCR (Silicon Controlled Rectifier) is used as a series switch for the DC power during plasma operation. The SCR is gated on by the PWM on PCB1 and is on when cutting and off when unit is at idle conditions. cutting, R10 is bypassed by the SCR. of circuit. In circuit resistance is 99 K Ohm. from the input of the machine. stored energy will discharge harmlessly through the resistor. The approximate discharge time is 30 seconds. reversed, the display will change polarity and the value will change in the opposite direction from the first test, if the capacitor is good. electrical noise, plus the resistors provide a discharge path for the buss caps during “off” conditions. transistors (IGBTs) and inverted to form high frequency, square-wave AC that is input to the main transformer (T1). 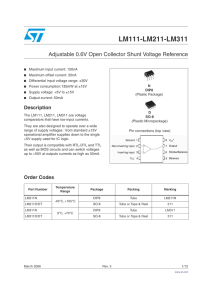 630Vdc capacitor, is used primarily for filtering. --WARNING---Buss caps can maintain a charge for some time after input power has been removed from the system. discharge the buss caps. The specifications of which should be approximately a 20kΩ, 20W resistor with high voltage insulation on its leads. filtering and resistors R15 & R2 (10kΩ, 20W) are used for providing a discharge path. 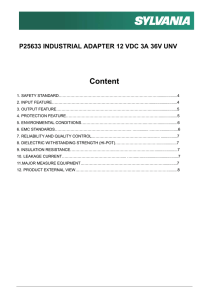 tolerance of the input would yield a total buss voltage (across C1 & C2) of 553 – 748Vdc. It is recommended to use a bleeder resistor to discharge the buss caps. range, however, the value should be decreasing. Again, this is only a “good indication” that the capacitor is good. 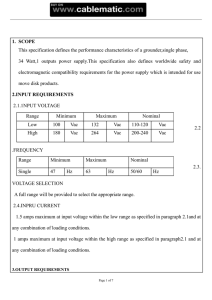 It is still recommended that the capacitance be checked with a capacitance meter. The Inverter block consists of the IGBT driver board and the IGBT block. signals and also to protect the IGBTs. feed through the driver board and connect to the IGBT module. Each IGBT module has a driver board attached. 325VAC. See test procedure Section 6.2. • Perform continuity test on fuse F1 and F2. 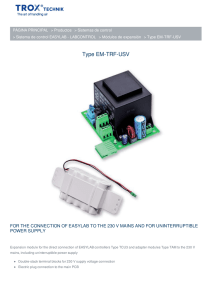 The Main Transformer T1 takes the 325 VAC received from the IGBT block, and steps it down to 290 VAC. as a short to the 20 KHz AC power and acts as an open circuit to DC. For R9, perform a resistance test. The meter should read approximately 39kΩ. Current transformer (T4) measures the current flowing through the primary of the main transformer (T1). over current circuitry (IC2, pin 3) that will indicate an over current fault on the PC650. capacitors C5 through C8 are used for electrical noise suppression. from top to bottom although this is not denoted on the diode itself. to the gas relay. The X9 – X10 winding sends 20VAC to the +12 & +15VDC bias supplies. Active device cooling (the IGBTs, IBR and D1) is performed by axial fan M1. This fan is connected across the 230-volt primary of the T2, and is on while the PC650 is in operation. Open circuit resistance is 150 Ohms. Elec. connection via 2 leads AWG 18, 14 in. (365 mm) from outer edge of housing. Metal housing and impeller. Shaded pole motor, air output over struts. Mass = 38.8 oz (1100 g). torch switch circuit, the over current protection circuit and the arc on circuit. positive DC is input on pin one of the regulator and outputted on pin 3. Pin 2 of the regulator is tied to ground. and noise suppression, and then distributed throughout the board. for DC voltage from the output of rectifier BR2 – approximately 25VDC. If there is AC voltage at the input of the bridge, but no DC output, replace the PCB module. physical damage. Replace the PCB module. VAC input to the transformer. If there is voltage there, deenergize the unit and test the windings with an Ohmmeter. If there are any open windings, replace the transformer. If the 13.5VDC voltage is not available, replace the PCB module. voltage available, replace the PCB module. gate IC10 in the Current Control circuit. may be bypassed for troubleshooting using the air test switch on the front panel of the unit. This bypasses the PCB1 K2 relay and energizes the solenoid directly. chip also provides the +5-volts for the board. 16 KHz. at the factory. The output of IC6 is routed to IC7 and IC8 from pins IC6-11 and IC6-14 respectively. These signals are then routed to the IGBT drive transformer T1 and to the SCR drive transformer T2. the pulses generated from IC6, and thereby shutting down the PC650. routed to IC2, as I ARC, and to a pair of inputs of IC5. The pin 12 input triggers the K3 relay via IC5 pin 14. This is not utilized on the PC650. built into the board, a gas flow switch, and a thermal switch. The Thermal switch is a normally closed switch and is routed to IC2 via Plug 1 pins 1 and 2 (P1-1, P1-2). the main arc. The flow switch is connected to the PCB control board on P1-11 and P1-12. down the PWM generation and shuts down the main arc. branch of the PCB1 voltage divider on R1 pin 2 via P6-6. R1 pin 1 is connected to ground through the P612 connection of the PCB1 control board. The variable of R1 connected to P6-6 flows to pin 6 of the voltage comparator IC5 on the control board. thereby increasing or decreasing a given current level. The PCB Control board has a voltage monitoring circuit and major fault logic built onto it. LED on the front panel. This shows on the front panel as a flashing light. voltage/over voltage fault LED on the front panel. This shows on the front panel as a flashing light. the fault by setting IC2 pin 6 high and turning on Q5 and Q6. This turns on the under voltage/over voltage fault LED on the front panel. This shows on the front panel as a steady light. -13. This voltage is routed to the spark gap unit for HF generation. VDC to the torch output on the PC650. With the device disconnected from the unit, the output inductor should read less than 1 Ohm of resistance. Testing: Using a capacitance checker to measure, the value of C1, C1 is 56μF capacitor. Using an ohmmeter to check the resistance, the value of R1 is equal to 25Ω. P6-1. This connects to the trigger lock in switch circuitry on PCB1. Over/Under voltage fault—Flashes 5 times per second. pin 12 turning on Q5 and Q6. This turns on the under voltage/over voltage fault LED on the front panel. turns on the under voltage/over voltage fault LED on the front panel. on the front panel. This light is described as mostly on. Mostly on is when the LED is on for 9/10 of a second and off for 1/10. trigger switch is closed. The Flow switch will generate a flashing light on the fault light on the front panel. This light is described as mostly off. Mostly off is when the LED is off for 9/10 of a second and on for 1/10. the front panel as a steady light. In the event that the PCB control board has a voltage problem on the board, this turns on the under voltage/over voltage fault on the front panel. This shows on the front panel as an evenly flashing light meaning the light is on and off for equal durations, flashing 5 times per second. as mostly on – meaning it is on for 9/10th of a second off for 1/10th. mostly off – meaning it is off for 9/10th of a second on for 1/10th. fault light on the front panel of the PC650. unit, the switch opens and main arc ceases. 2.5 SCFM. Any flow less than that and the switch will open. Spark gap generator. This feeds a continuous HF signal to the torch at roughly 1.5 MHz. 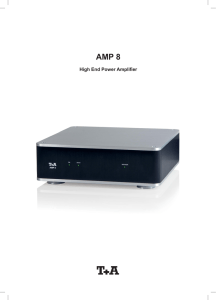 The spark gap unit generates the HF necessary to create main arc in the PC650. operator brings the torch in contact with the work piece, main arc is established. gas flow circuit. In the test position, the switch couples the 24VAC from transformer T2 to the gas solenoid, bypassing the PCB relay and the flow switch. Pin 6 of IC5. The negative output of this op amp, on pin 7, is sent to Pin 9 of IC5 where they are summed. Constructed of glass-reinforced phenolic, it is a rugged lightweight torch for general-purpose cutting. The torch must come in contact with the material to draw an arc. during installation. In general, standard ESD precautions application to FETs should be followed. • Use grounded work station with grounded floors and grounded wrist straps when handling devices. • Use a 100Ω resistor in series with the gate when performing curve tracer tests. • Never install devices into systems with power connected to the system. • Use soldering irons with grounded tips when soldering to gate terminals. section for the required pad. replaced if the transistors have failed. The Gate should remain on once it has activated. Short the Emitter / Gate (G1-E1) leads to turn the IGBT off. (-) lead on the Emitter (E2) of the IGBT. black (-) lead on the Emitter (E2) of the IGBT. Short the Emitter / Gate (G2-E2) leads to turn the IGBT off. with this equipment. The use of non-ESAB parts may void your warranty. 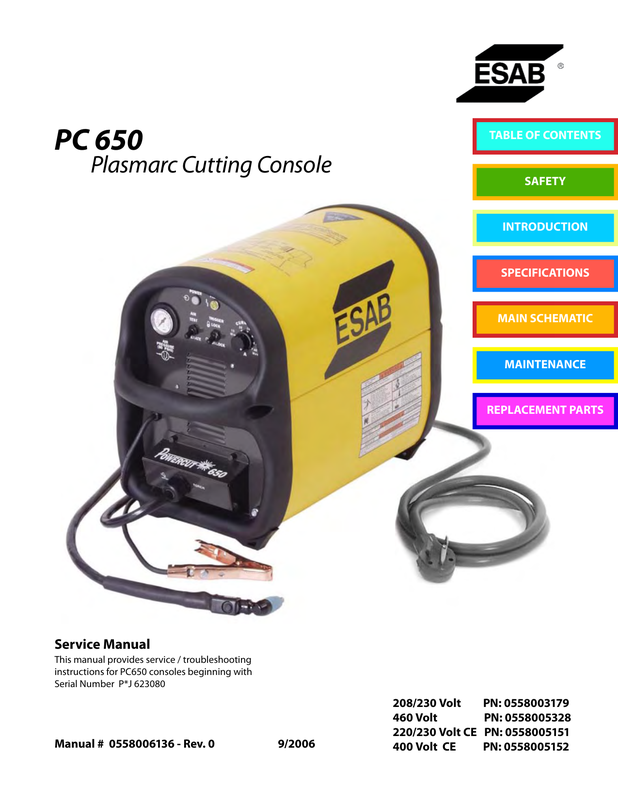 Replacement parts may be ordered from your ESAB Distributor. Be sure to indicate any special shipping instructions when ordering replacement parts. 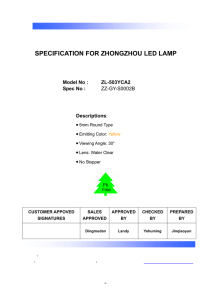 Bill of material items that have blank part numbers are provided for customer information only. Hardware items should be available through local sources. Supply of 100 PSI Air or Nitrogen gas with regulator. cable connector for damaged threads. Verify that the power switch on bench is in the OFF position. Verify that the bench Nitrogen switch is in the OFF position. Verify that the bench Leak I switch is in the OFF position. Connect the Nitrogen gas hose from fixture to supply line. Attach the PT-31 torch to test fixture mark Torch Connection. Turn the power switch on bench to the ON position. 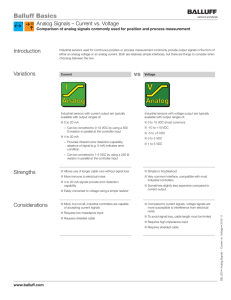 Turn Nitrogen switch to bench test fixture ON. Turn the Leak I switch on bench test fixture ON. Verify that the valve on flow meter is to the ON position. Turn the Leak I switch on bench test fixture OFF. identify as tested and passed.